In these times of deep crisis ecclesiastical institutions are also helping their people with powerful initiatives. 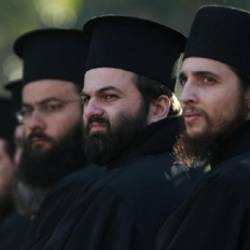 To help the Greeks in their fight against the economic crisis gripping the country, now in its fifth consecutive year, the head of the powerful Greek orthodox church, archbishop Ieronymos, has offered the faithful the possibility of cultivating land owned by the Church. "Those who want to work Greek land, to contribute to the country's food security, to the development of a modern and exportable agricultural and livestock production need to know that what little remains of Church land is available to them," said the Primate during his traditional Christmas message to the nation, but without specifying if the land will be granted to the applicants upon payment of a sum of money.